This ready made competition bikini is in stock and ready to ship on the day of purchase or following day. 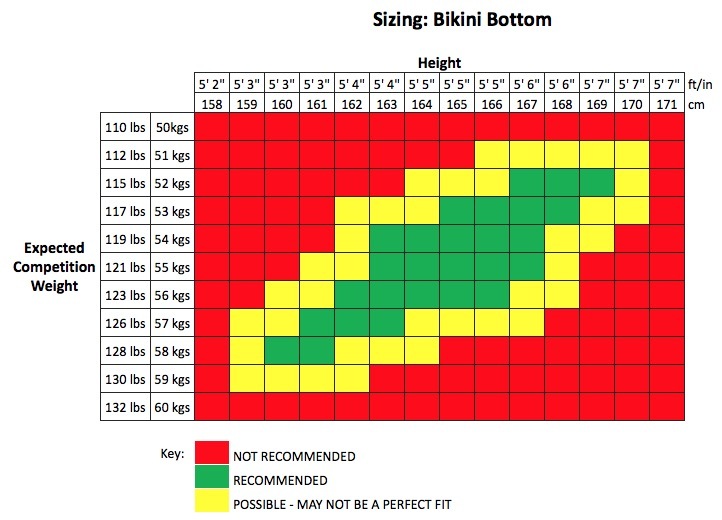 The bikini bottoms are suitable for someone between 160-169cm (5' 3" - 5' 6") depending on weight - please see Sizing Chart picture for more detail. The bikini top is generally suitable for the following bust sizes: B Cup - with padding (provided); C Cup - with light padding (provided); or D Cup - without padding. 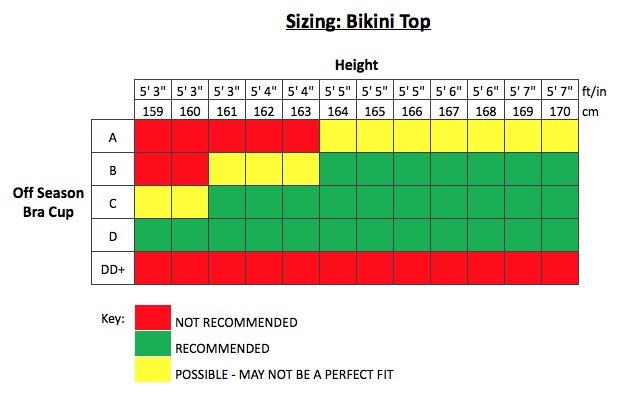 Please see sizing Chart picture for more detail. Dimensions of the bikini top are shown in one of the photos. Shipping: With our free shipping option you can expect to receive your plain bikini in 2.5 weeks. With our expedited shipping upgrade (DHL Express) you can expect to receive your bikini in 5-6 days. Please note that payment in full is required when purchasing this competition bikini. Sold 'as is' with no alterations to be made. Please read the description carefully to avoid sizing issues.